Plovdiv News stopped at our booth and tried out 10 cupcakes. It was a nice interview. And the anchor played through most of the demo. If we get some time we will put subtitles on the video. 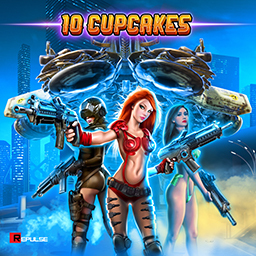 10 Cupcakes Demo is now available for download from our website. A lot of it is missing art or just using placeholder assets but we have a large enough vertical slice to demonstrate what we are working on. We wanted to get it in real users hands so we can get some feedback. The demo is available for free and doesn’t require any registration, filling out forms or payments. Download it and try it. If you have any suggestions or feedback please contact us on facebook to tell us what you think.